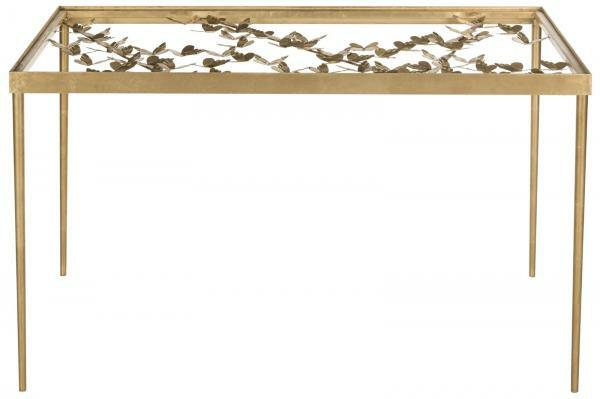 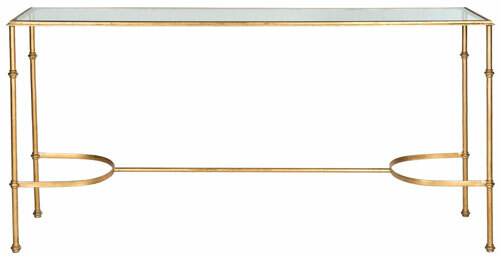 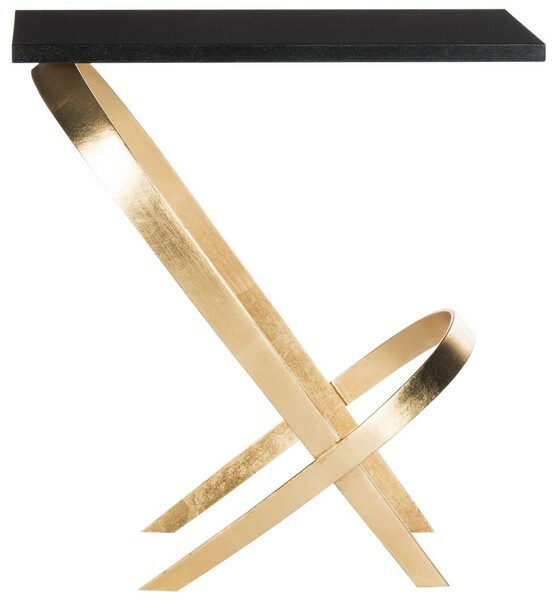 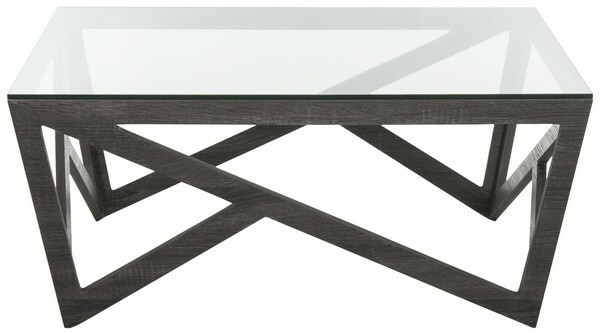 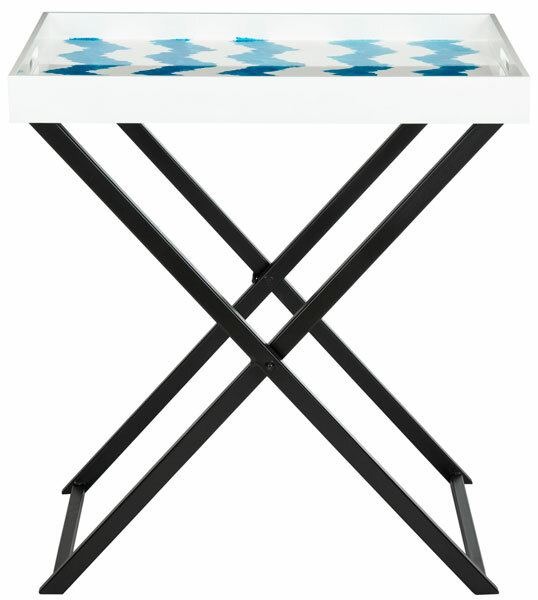 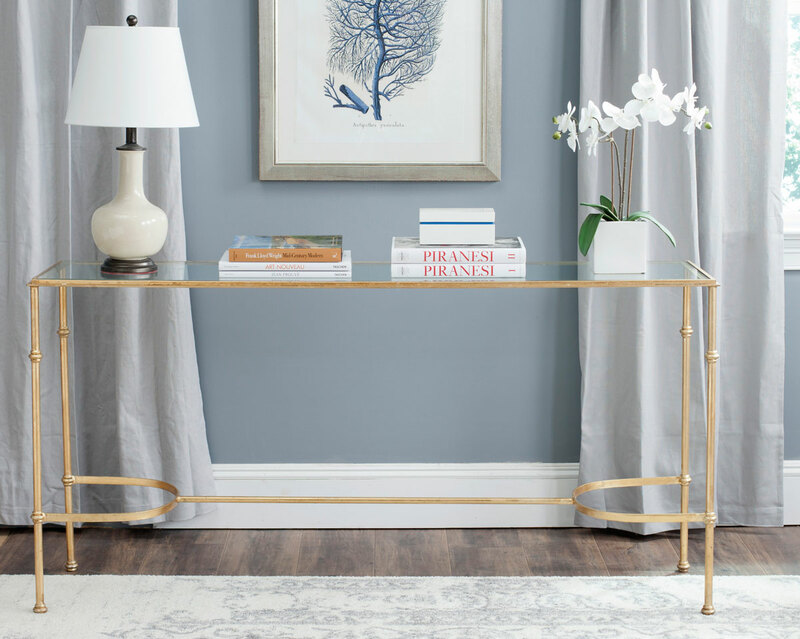 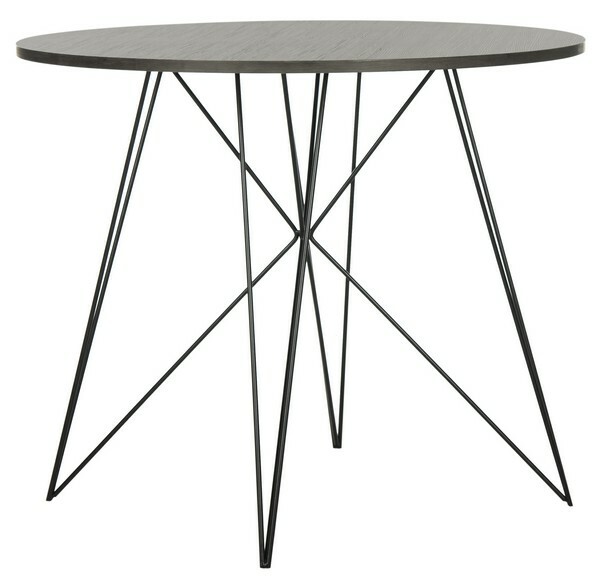 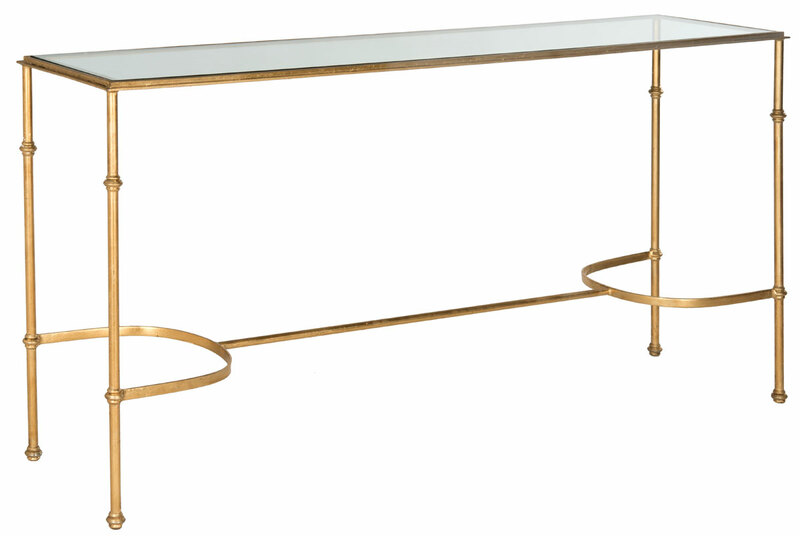 Inspired by couture jewelry, the Lucille console table exudes understated elegance. 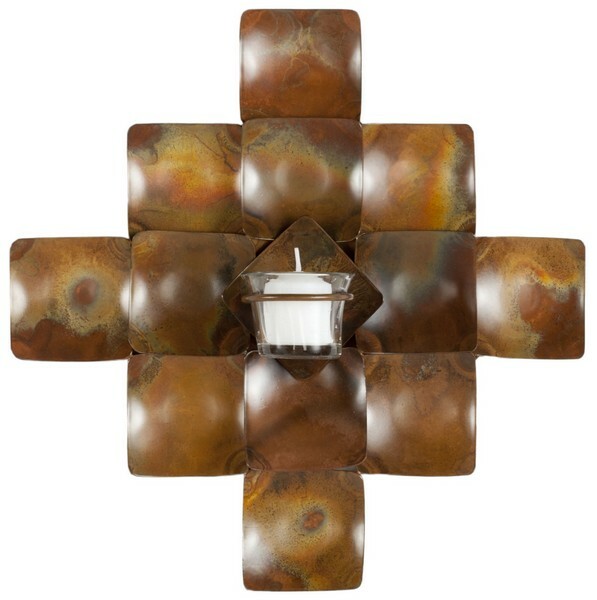 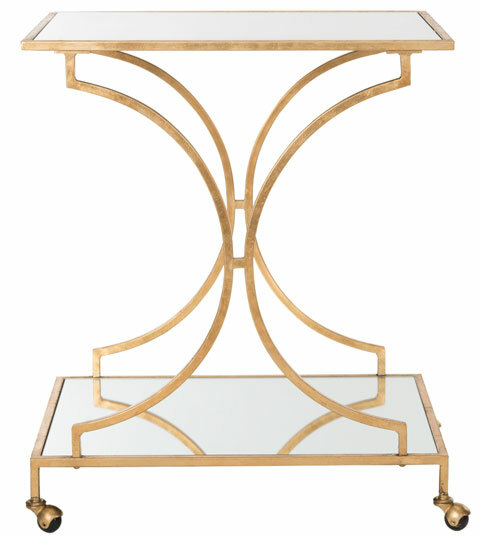 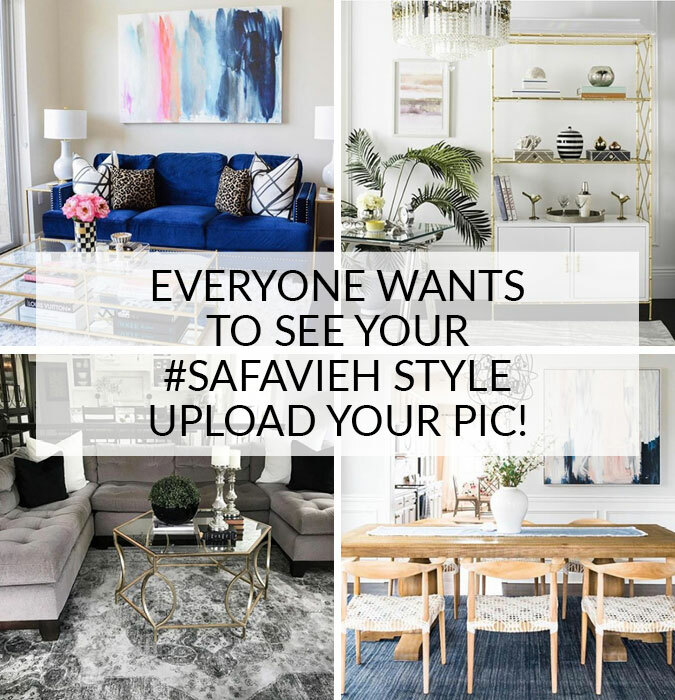 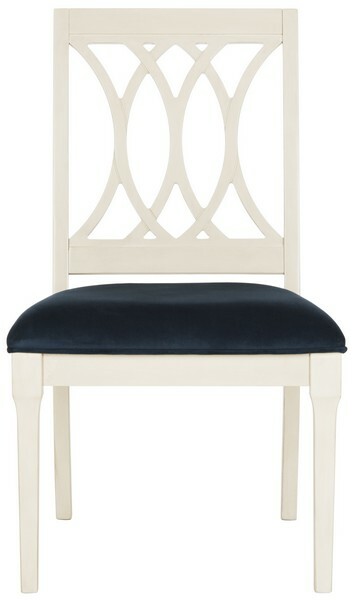 Its tempered glass top adds an open airy look in traditional and transitional rooms, and its beautifully detailed iron base is timeless with its artful gold leaf finish. 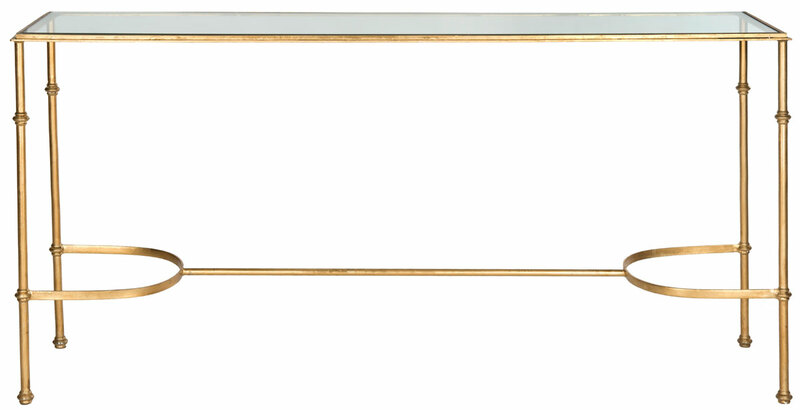 Dimensions (W * D * H): 63" X 16" X 32"